87% of Millennials say their smartphone never leaves their side, day or night. 80% reach for their smartphone first thing each morning. 78% spend more than two hours a day on their smartphone. The common perception that young adults love their smartphones has become statistical fact. And with the extreme percentages shown in a recent Zogby Analytics study, it seems to have become an obsession. Companies who don’t offer mobile options “are missing the boat,” according to James DeBello, CEO of Mitek, the company that commissioned this study of 1,019 Millenials earlier this year. And the results of the study back it up. Even more than that, 36% of those surveyed had gone as far as to switch companies based on their mobile offerings when making decisions on where to spend their money. It’s a scary prospect for companies. Being competitive in the marketplace today means going mobile. It means meeting the youngest generation of consumers where they are with what they demand: mobile access at their fingertips in easy and quick ways. But what does this mean for the church? How does this translate to generosity and giving in general? It’s not a far stretch. Millennials are not only connected to their smartphones Monday-Saturday. They’re tweeting from church on Sunday mornings. They’re following along with the pastor’s scripture references with apps like YouVersion during services. And they want to give online too. This study underlines the importance of going mobile for everyone. It’s something I’ve written about before, and it’s something that isn’t going to change any time soon. So what can you do to make sure you are reaching this generation? Here are three quick-check items to make sure you’re both mobile- and Millennial-friendly. 1. Check your website for its mobile-friendliness. Pull up your church’s website from a smartphone or tablet. Go ahead – I’ll wait…. How does it look? Does everything display well? Is it easy to navigate? Does everything work properly? If not, it’s time to work with your web guru to make sure it does in the very near future. Why is this important? Most people who visit your church for the first time have already “visited” your church online. And with these recent smartphone stats, Millennials will absolutely be looking for you online before they ever enter your door – and they’ll most likely be using a mobile device. 2. Check your online giving system for ease of use. On that same device you used in point #1, check the giving link on your website. (Is it easy to find on your homepage, right?) 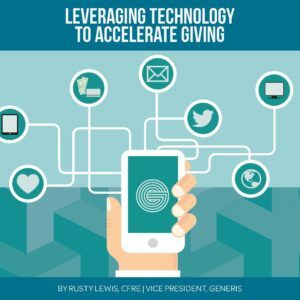 Is your online giving system easy to use? Is it a quick process? Remember, fast and easy are major factors to Millennials when deciding where to give. If you have a system that allows for a quick one-time gift without the requirement of creating an account (with the option for creating one later), you’re on the right track! If you require a username and password and twelve clicks through a complex system to give for the very first time, you are losing people in your hefty process – thus, losing their gift as well. 3. Check your Facebook page and Twitter feed. If people, specifically Millennials, are looking online to find your website before physically showing up at your church, they are looking at your social media accounts too. So this is another key item to review. Are you engaging in conversation on these platforms? Are you sharing stories of life change? Are you linking to videos of success stories? Are you posting photos of your church in action? All of these things provide Millennials the “proof” they may need in order to feel comfortable giving to your church. In other words, when they see the results, the outcome, the difference you’re making, then they will see your church as a worthwhile cause for their investment.